"Japanese Buddhism x Horiyoshi III is the first book of it's kind on an esoteric and difficult to approach subject matter. It includes almost 400 pages of beautiful photography illuminating Japanese Buddhist iconography from the top four Buddhist expanses in Japan, with clear and thorough explanations, in English, of the numerous deities and symbols and their significance. 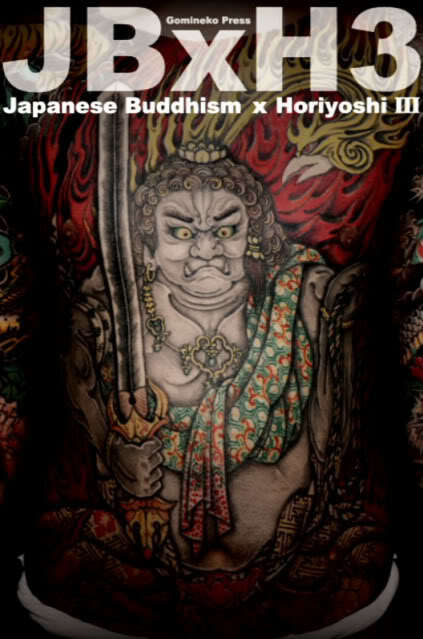 This publication also includes tattoo reference provided by Horiyoshi III and his clients and an interview with him on Buddhism and it's relationship to Japanese tattooing. Text by Manami Okazaki and photography from renowned cameraman Geoff Johnson, this is a must have reference book."